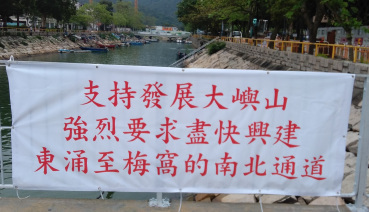 A blogger at Lantau Confidential has shared pictures of anonymous banners promoting the government’s development plan for Lantau Island. The mysterious banners started appearing across the island this week, but no one knows who is behind them. Chief Executive Leung Chun-ying’s government has pledged to transform parts of the island into an international transport, logistics and trade hub. 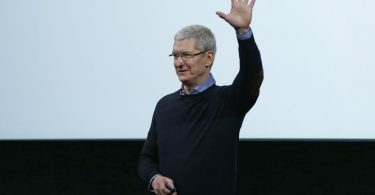 Resident and blogger Robert Clark noted that the banners did not include the name of any individual or group, nor did they bear a logo. ‘Support Lantau development: Reduce ferry fares.’ – Taken at Mui Wo roundabout. ‘Support Lantau development: Increase island bus services.’ – Taken at Mui Wo roundabout. ‘Support Lantau development: Build a road connecting Tung Chung and Mui Wo as soon as possible.’ – Taken at Mui Wo Five Cents Bridge. 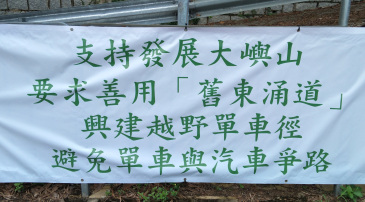 ‘Support Lantau development: Prioritise the expansion of South Lantau Road, Keung Shan Road, Tai O Road and other historic roads.’ – Taken at San Shek Wan roundabout. ‘Support Lantau development: Environmental protection is not . One must strike a balance between development and conservation.’ – taken at San Shek Wan roundabout. 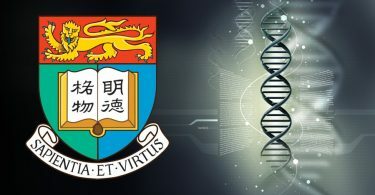 ‘Support Lantau Development: We demand the improvement of rural Lantau’s communications network’ – San Shek Wan roundabout. ‘Support Lantau Development: We strongly demand the construction of Lantau bicycle trails’ – San Shek Wan roundabout. ‘Support Lantau Development: Make good use of Old Tung Chung Road. Build a cross-country bike trail and avoid cars and bicycles competing on the road’ – San Shek Wan roundabout. 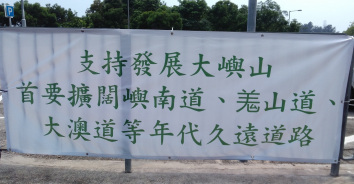 ‘Support Lantau Development: For environmental protection, we must implement as soon as possible the construction of sewage system for rural South Lantau’ – San Shek Wan roundabout. 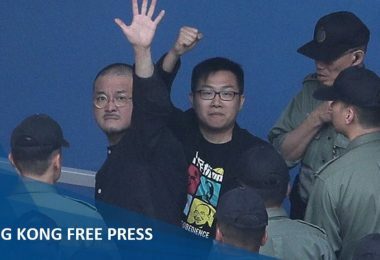 HKFP has contacted the Lands Department for comment.